1 What is Widget:Google Presentation? 2 How do I use Wwidget:Google Presentation? 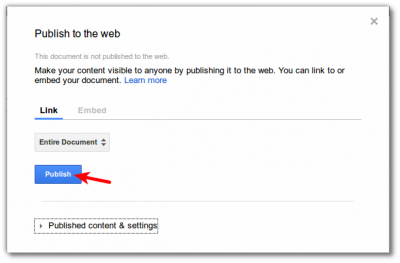 The Google Presentation widget allows you to add Google Presentations to your wiki page. How do I use Wwidget:Google Presentation? docid: id of the shared presentation (be sure to replace entire <document-id>, including angle brackets). size: Size of the embed. Options are 'small' (480x299), 'medium' (960x569), or large (1440x839). The default is small. start: Whether or not to autostart the presentation. Options are 'true' or 'false'. The default is false. loop: Whether or not the presentation should play again. Options are 'true' or 'false'. The default is false. delay: How long to wait before advancing to the next slide. Value is in milliseconds. The default value is 3000 (3 seconds). 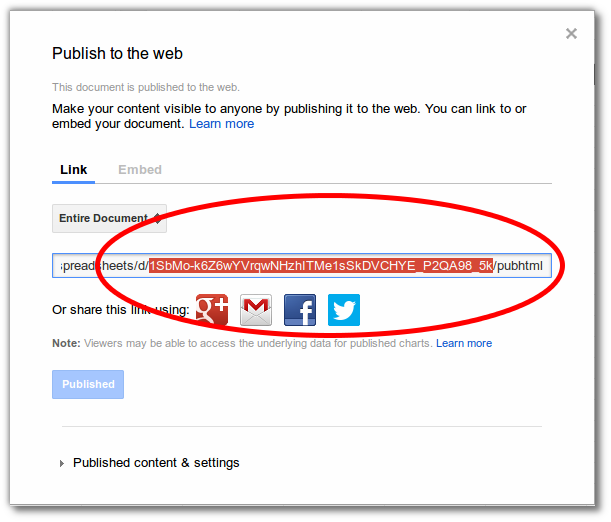 In order for the presentation to be visible to all users of the wiki, you'll need to set permissions accordingly on the Google presentation that you want to share. 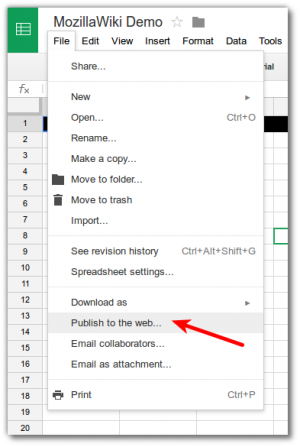 Note: The images below for for Google Spreadsheets, but the steps are identical for Google Presentations. This page was last modified on 16 March 2015, at 17:05.